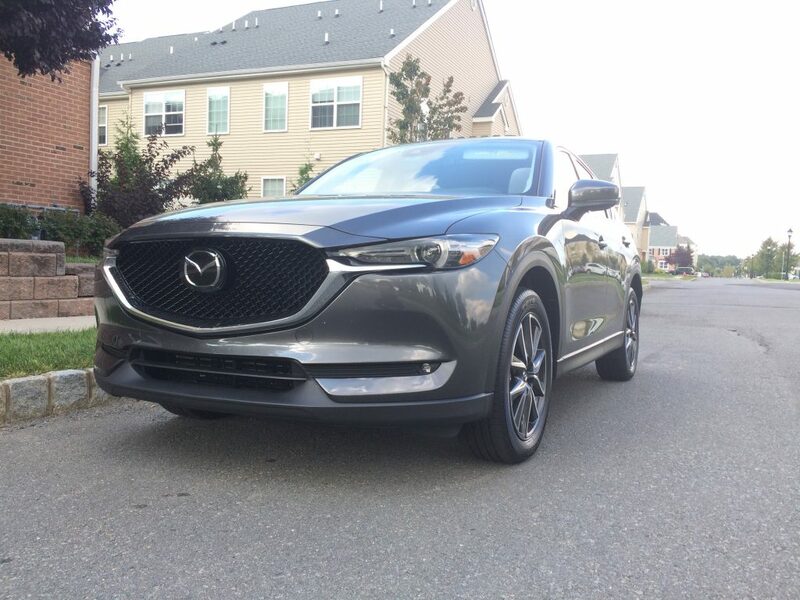 Disclosure: Mazda provided the CX-5 exclusively for this review. No monetary compensation was received. All opinions are strictly my own. This past summer, we didn’t do much of anything as in vacationing in a resort or visits at the beach. We pretty much hung around my hometown and did things nearby like visit the parks, visits to Rita’s for some cold, creamy custards (yum!) and lots of backyard play. 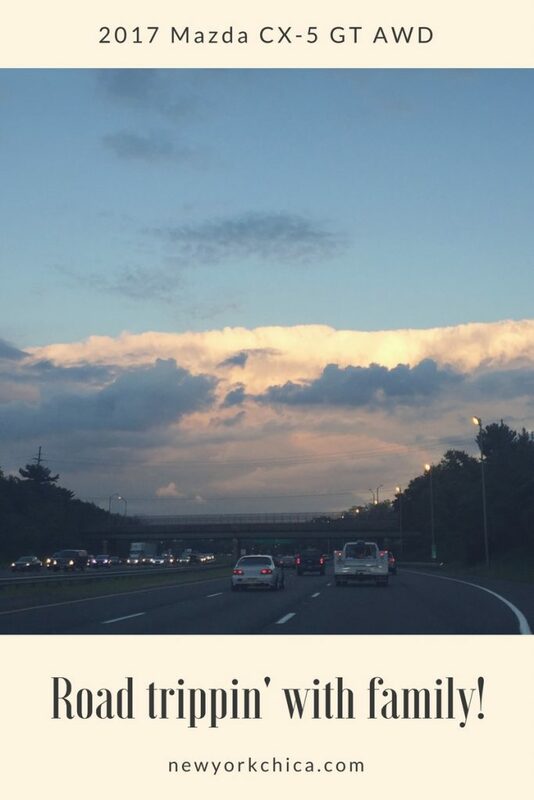 My plans for next summer are to take plenty of road trips, one or a few vacations (at the least!) and explore more cities involving the whole family with various activities because in the end, it’s all about family, right? 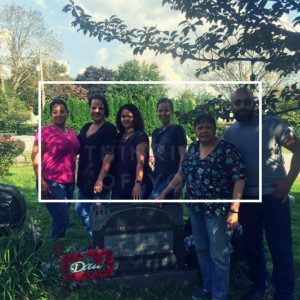 Thanks to Mazda, I was able to visit my sister in New Jersey AND visit my dad’s grave in Lancaster, Pennsylvania all in one weekend. It was one those spur-of-the-moment decisions so that we can visit my dad’s grave for his birthday. It’s been a year since our last visit so it was time to go since we try to go every year or so. I’m so glad we decided on going because we had such a wonderful time. We got to spend time with my aunt (my dad’s sister), a couple of my dear cousins and we all went out for lunch at a local Mexican restaurant. I had a really great time. Those moments that are spent with family are the best, especially when those family members live so far away. 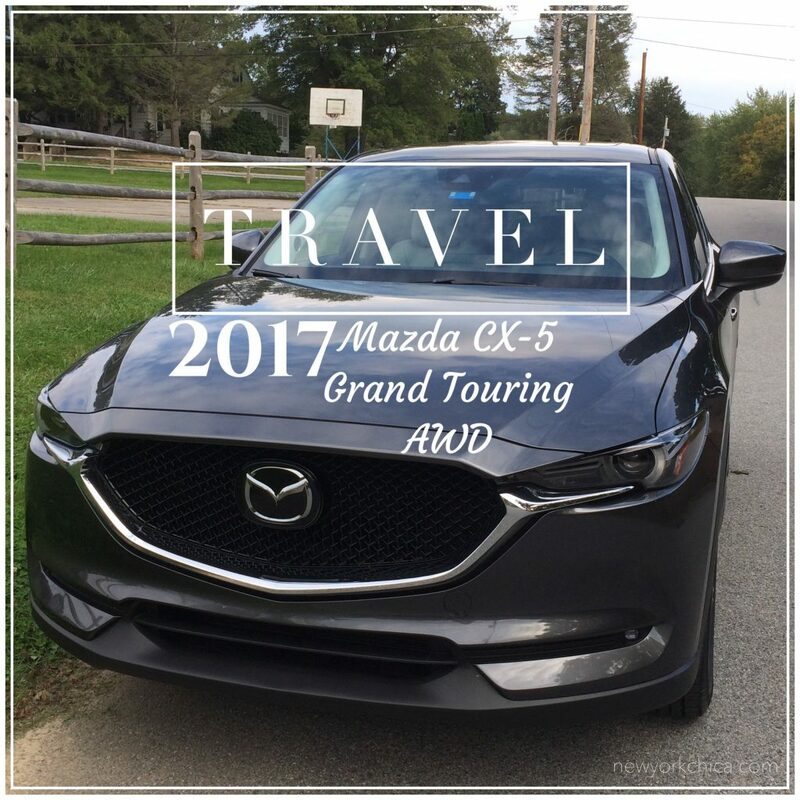 As for the ride, we drove in luxury & style in the 2017 Mazda CX-5 Grand Touring AWD. It was definitely a very smooth ride and it had a lot of power & speed. It’s an all-around perfect family vehicle so it fits a family of five quite comfortably. 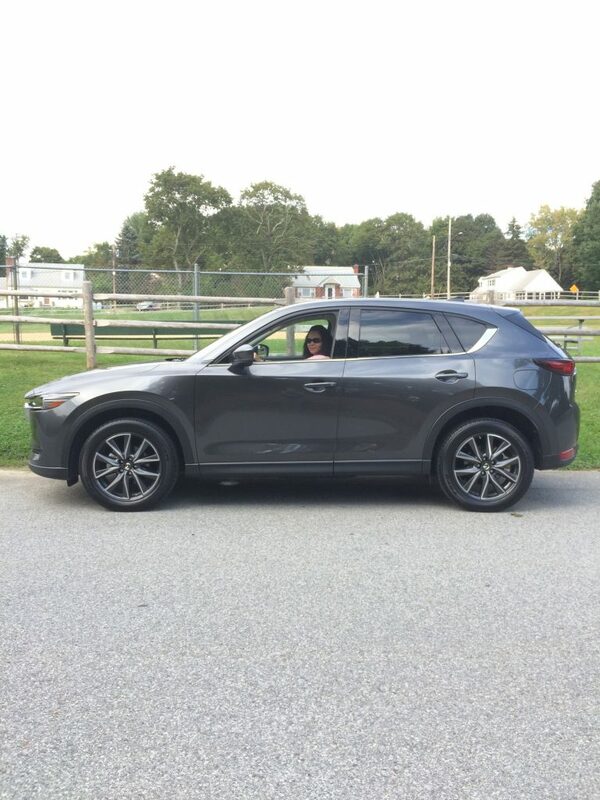 Although it was just my sister and my girls in the car, we had more than ample space in the Mazda Cx-5. We were able to fit all of our bags and luggage and still have more room in the trunk too. 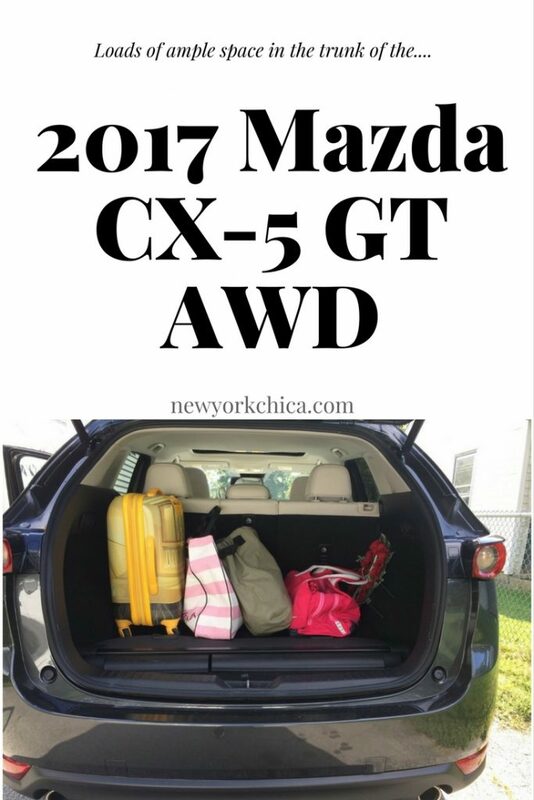 If you’re a regular reader of New York Chica then you already know that I posted my review on the 2016 Mazda CX-5 last year. 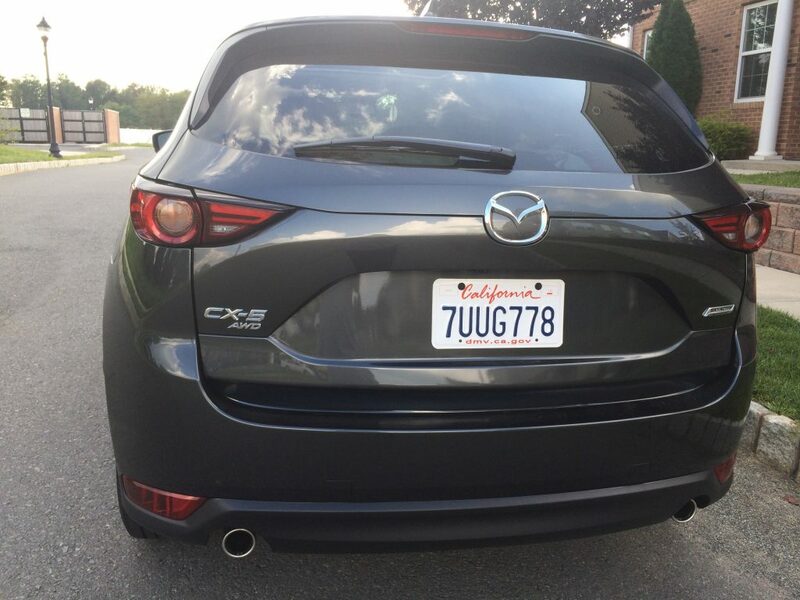 But there’s been a few changes that Mazda did that I absolutely fell in love with. 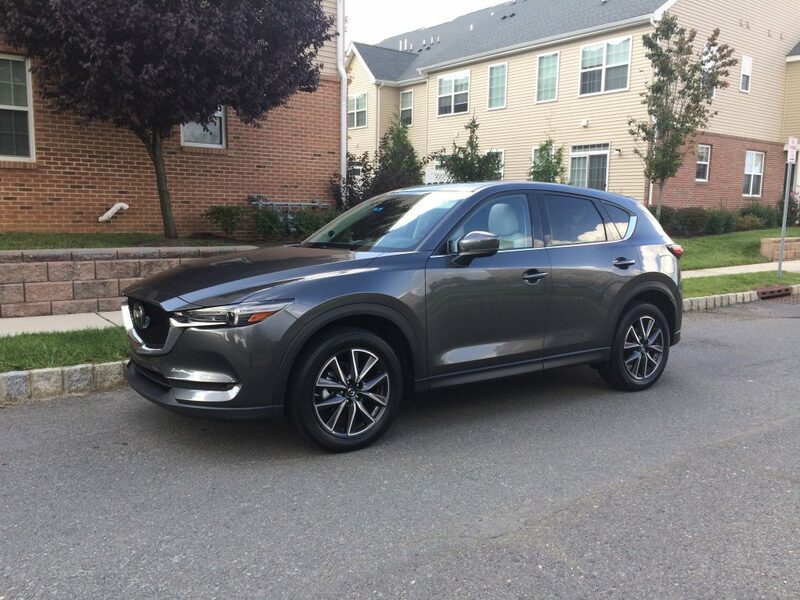 For one, in the 2017 CX-5, you can have the option for the heated steering wheel with the premium package (see below). This feature has to be one of my favorites for the simple fact that my hands get very cold in the Autumn and Winter days. Sometimes gloves don’t work to keep my hands warm so this feature is a huge plus for me! The next feature that was a treat for my girls were the rear heated seats. 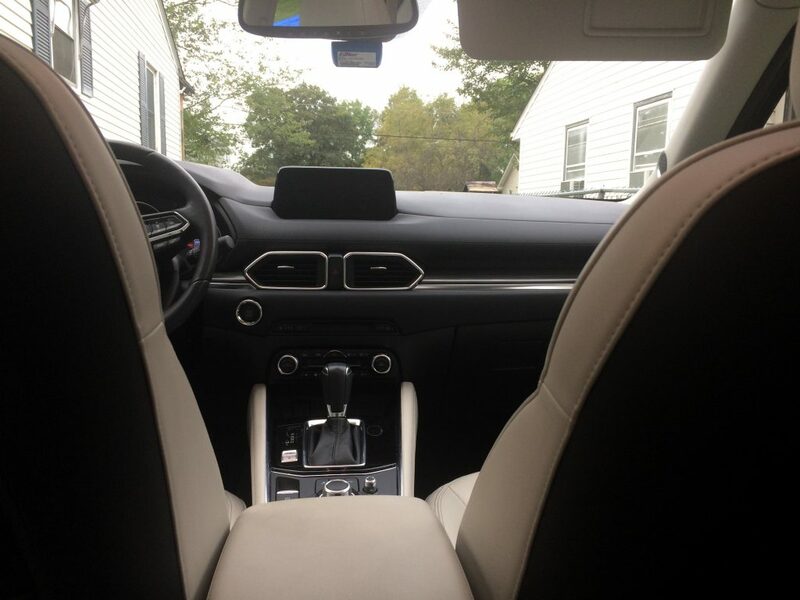 It’s easily accessible when the middle console is down, which is another great feature since they can both have their own space and not bicker about it who has more space. Sometimes silence is like music to my ears… If you’re a parent of girls, you know exactly what I mean. Next (and this is not in order) is the Windshield-projected Active Driving Display. 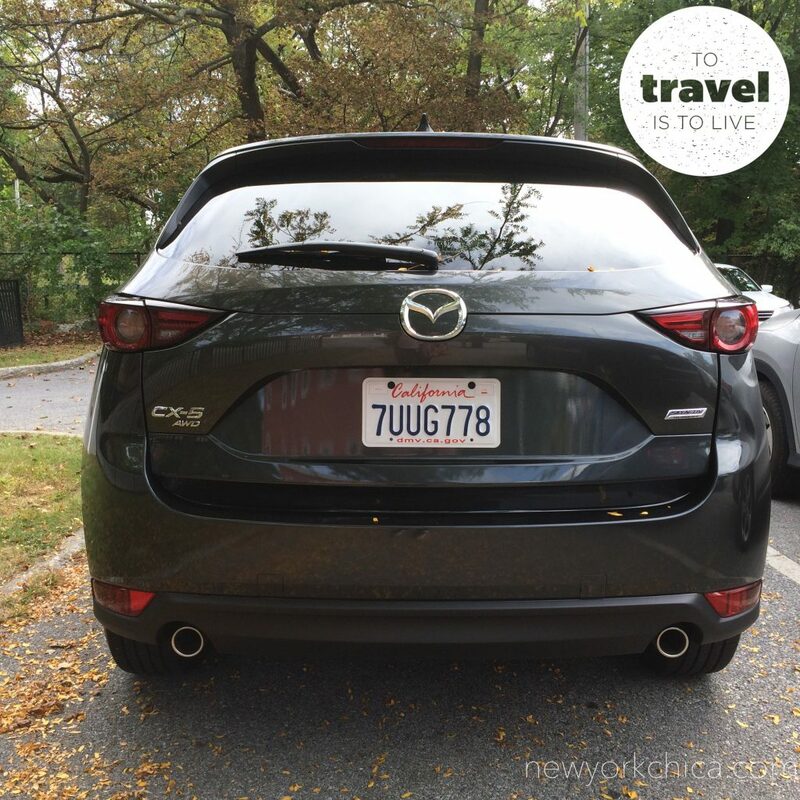 It’s something I really enjoyed in the Mazda CX-5. You don’t have to constantly look at the speedometer when driving so this helped me a ton. 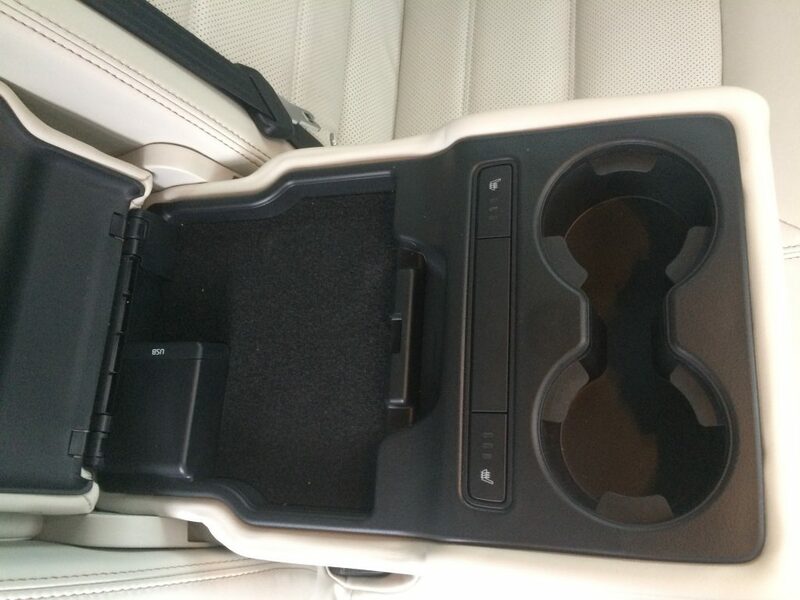 Last but not least, we all agreed that THE best feature in the vehicle is the number of USB ports. We live in a very technological time so keeping our cell phones charged is something we all want and need. With two USB ports in the front and two in the back, we were all able to keep our devices charged and ready to go! The cost of the above vehicle is approximately $34,085. 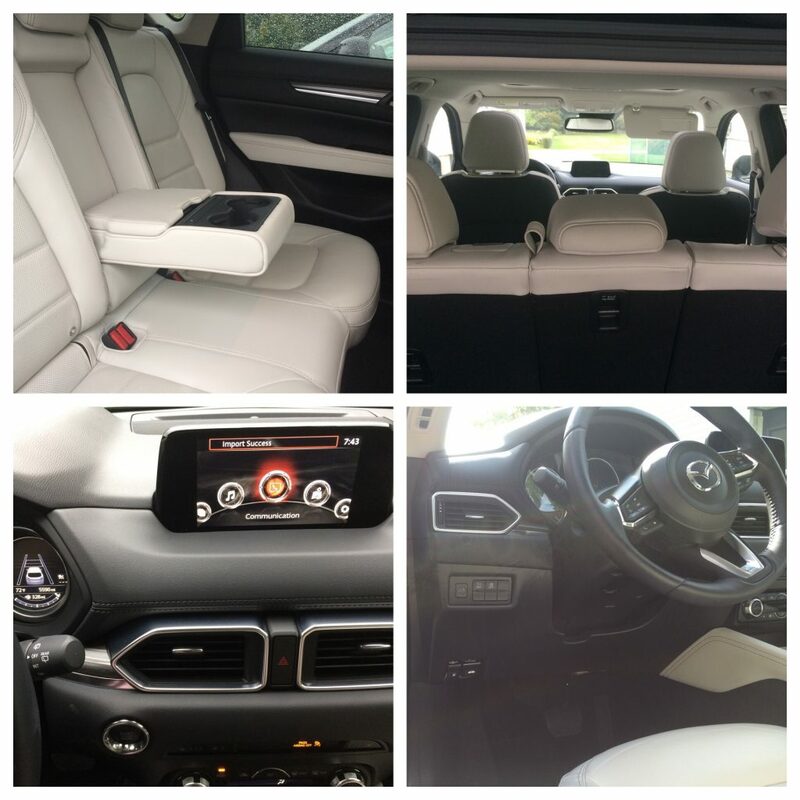 A steal if you want safety, luxury and loads of cool features. 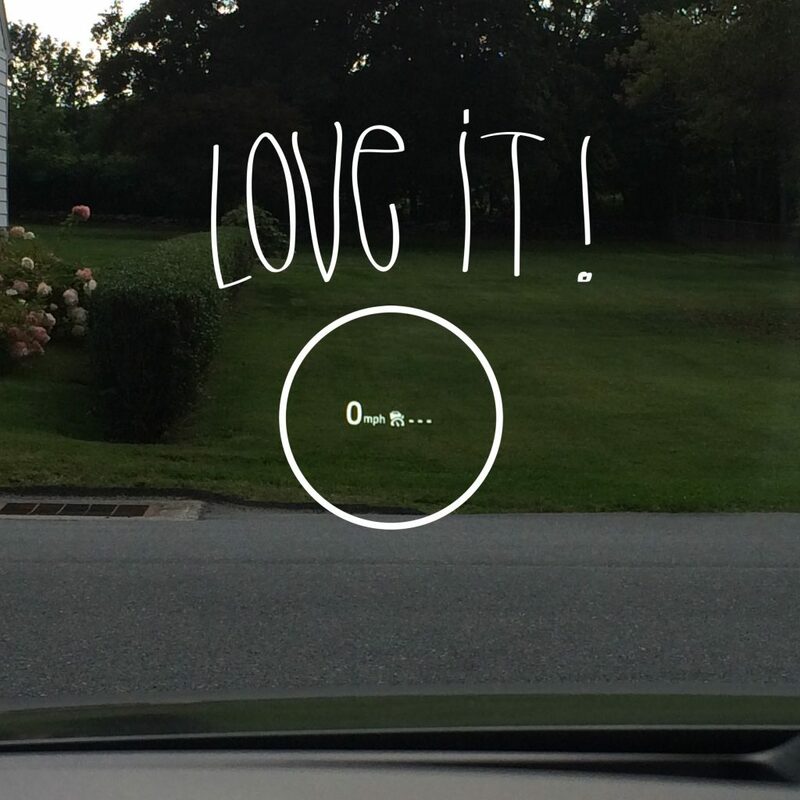 That active driving display is very cool and useful feature. Nice you got to check out this Mazda while meeting up with family. It’s a beautiful car! I really love the amount of space it has. Perfect for traveling with family and in my case furbabies. And those heated seats and steering wheel will be a necessity. The East coast is expected to have a higher than normal cold front this winter. I did have one question. As a fellow petite woman – I’m 5″1″, did you feel that you had to stretch to reach the gas/brakes or was it comfortable? I’ve had some cars that I’ve had to do that and that’s such a safety risk. Thanks! Girl, you know we are the same height (LOL) so this vehicle had great seat mobility so I didn’t feel like I was petite while driving. I felt safe and knew that I was driving in style as well. I wish I had those heated seats and heated steering wheel now bc those two features were one of my favorites! Mazda’s were our company car when I worked at the TV station. I recall them as prone to issues but then we put a heck of a lot of miles on them, driving out to the middle of West Texas ranches looking for plane crashes and such. Thank you for sharing. You have a very beautiful car. Fun trip and a great car. Nice looking vehicle. Looks like it worked out great for you.